As a change of pace this week, we teamed up with Kris Lamba (www.krislamba.com furniture design) to build five 10x5 set-flats and props for a photoshoot at Sky Studios in Isleworth. Cant divulge or show what it was for, but here's some images of what we made. 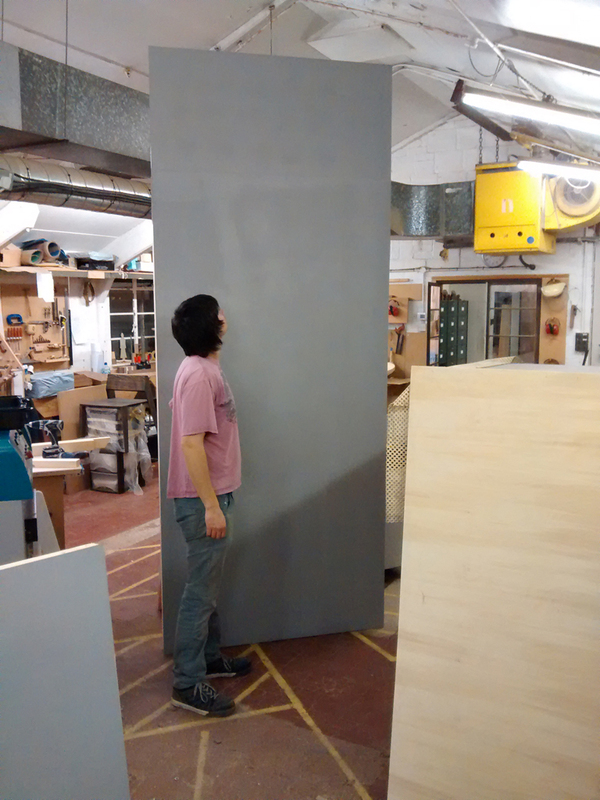 A tricky project due to the size of the flats and we were only just able to stand them up right in the workshop. The slimmer Stout Chair gets glued up. This week has seen the continued development of the slimmer Stout Chair (a more effective name to be decided). Due to the thin profile of the timber, structural difficulties needed to be overcome. An experiment in halving the timber thickness of the Stout Chair to see how it affects the overall aesthetic. The Stout Chair is now all glued up and onto the finishing stage. Stout Chair version 2 takes shape. Another example of the Stout Chair in the making, this time in Oak. A very tricky glue-up due to the angles involved. 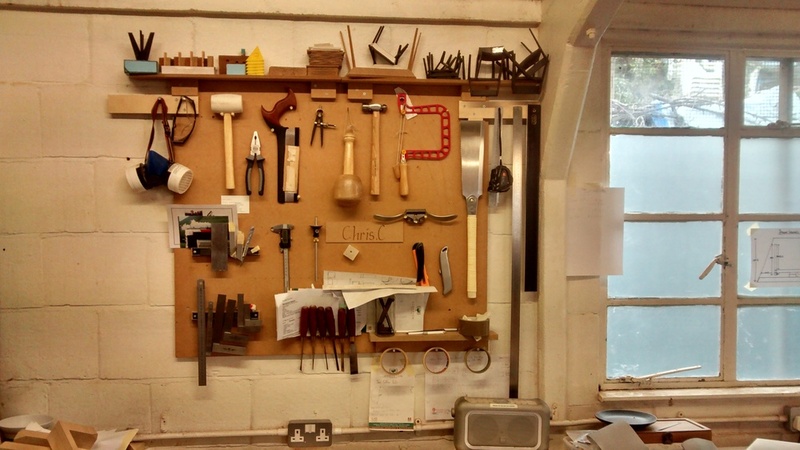 Numerous custom glue-blocks and most of the clamps in the workshop. New tools arrive to expand the toolboard. Great way to relieve the January blues.